Fillmore Central Public Schools Excellence. Responsibility. Life-Long Learners. 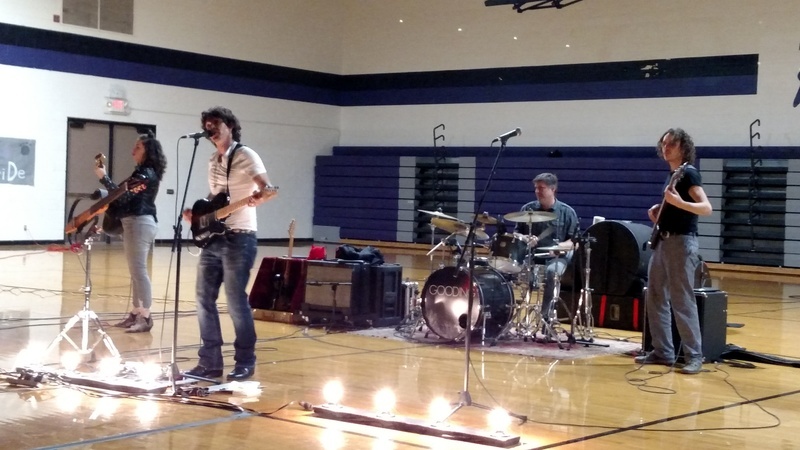 The Fillmore Central High School gym was packed on August 30 when 7-12 students from Fillmore Central, Shickley, and Exeter-Milligan attended a rock concert by the band, Gooding. 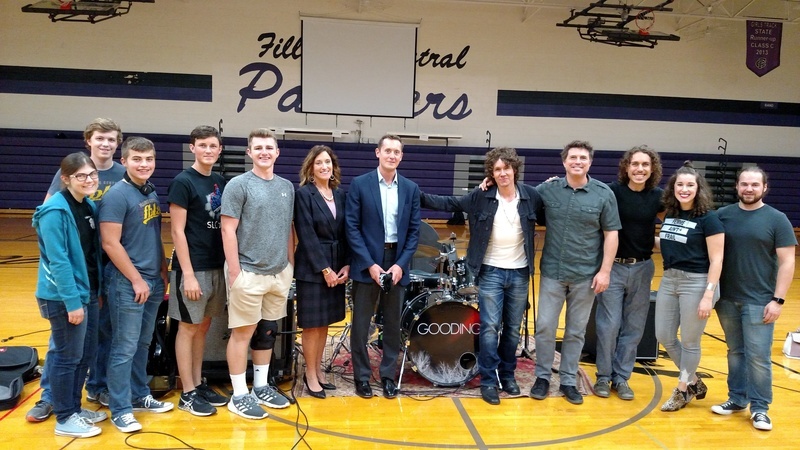 The stop in Geneva was one on a tour throughout the Midwest where band members not only share their musical expertise but the important message of financial literacy. Financial literacy may not be an exciting subject for many, but a school assembly blending rock and roll with knowledge of financial concepts such as compound interest and payday loans is the brainchild of the Funding the Future Organization. Steven Gooding, lead singer of Gooding, has been branded as “the coolest financial adviser in America” by the Wall Street Journal. Band members shared the message that many famous athletes and performers struggle financially due to poor money management. Besides their mission of spreading financial literacy, the band is an accomplished act having toured the U.S. for thousands of shows, and their music is featured in several films and television shows. 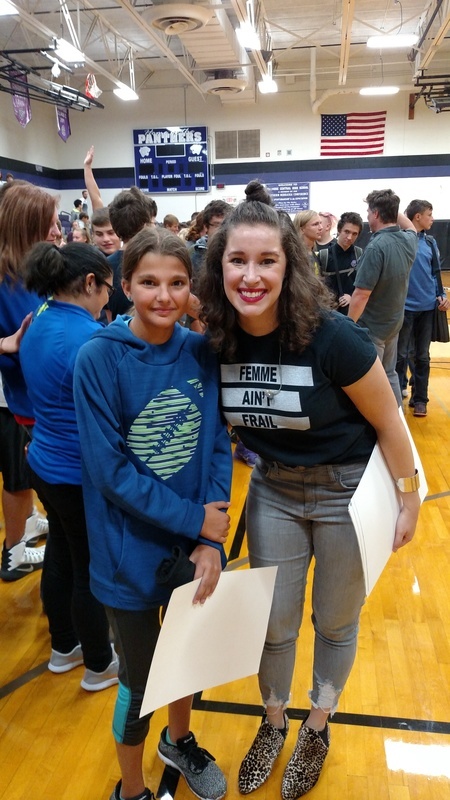 Many students in attendance enjoyed the “meet and greet” following the concert where posters, stickers and autographs were plentiful, and they had the opportunity to meet and visit with the performers. 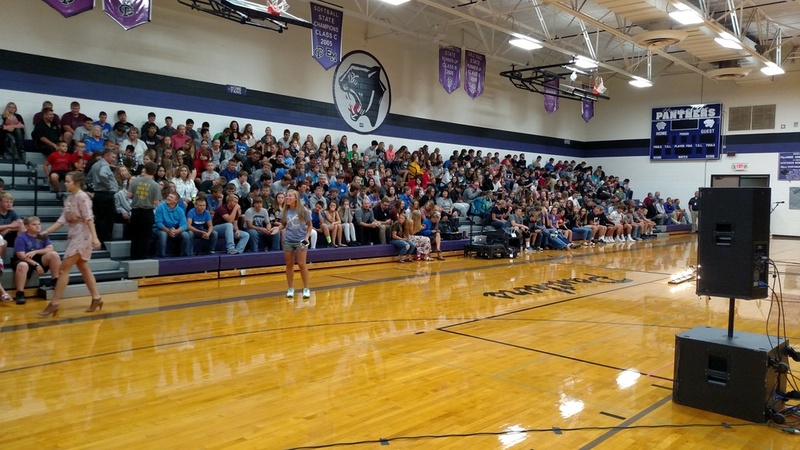 The assembly at Fillmore Central was made possible by sponsorship from Heartland Bank, Cornerstone Bank, Generations Bank and the Nebraska Council on Economic Education.